You are here: Kellaprince Property Latest News General News Kellaprince Properties Invests in Winners. Kellaprince Properties recently celebrated another exceptional sales performance by its top estate agents. Brendan Coates' hard work and dedication resulted in him achieving two benchmarks, most properties sold and also highest combined value of properties sold. Kellaprince Properties is proud to award him the floating trophy for "Agent of the Year" for 2018. Ronel Vorster, who has consistently been a high achiever, also had a great year. Ronel has been awarded Runner-up Agent of the Year for 2018, also not her first time. In the knowledge that we have some of the best sales and administrative staff in Mbombela, Kellaprince Properties continues to reward employees for both excellent performance and loyal service. Those staff qualifying for the Kellaprince incentive scheme will be awarded units or phantom shares linked in value to KPPI shares. These units can be redeemed after three years of having been awarded, but ideally should be held for long term wealth generation. 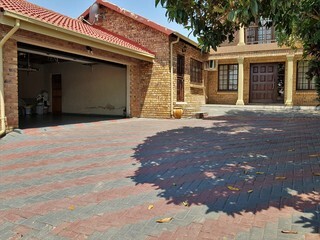 The Kellaprince Property Group is engaged with numerous property investment models and shares awarded in this growth model to qualifying staff will enable them to build up and develop their own portfolio of property investments, and thus contribute to their eventual financial independence and retirement planning. Brendan Coates, Marlene Wakes, Marilyn Edge, Heidi Angus and Veronica Smith are the latest recipients of the Kellaprince incentive scheme for this year, each being awarded units to the value of R44 000.